Is your website been found in search engines? Are you finding difficult to break on to the first page of Google? Do you need more exposure for your products and services? These are important questions you may be asking yourself, and Web Project Studios has both the answers and the solution. It is now common knowledge that a great website can work wonders for your business. It can boost sales, present your products or services well and attract new business. However, the importance of a website having accompanying SEO (Search Engine Optimization) has not reached the point that having a good website has in terms perceptions of importance. Simply having a website doesn’t mean it will bring in revenue! Without a well structured SEO plan, it is often the case that your website will not get found. It will, in fact, be listed way down in the search engines such as Google, Bing, Yahoo and others! So exactly what is SEO? SEO is as suggested, ‘Search Engine Optimization’ for your website. 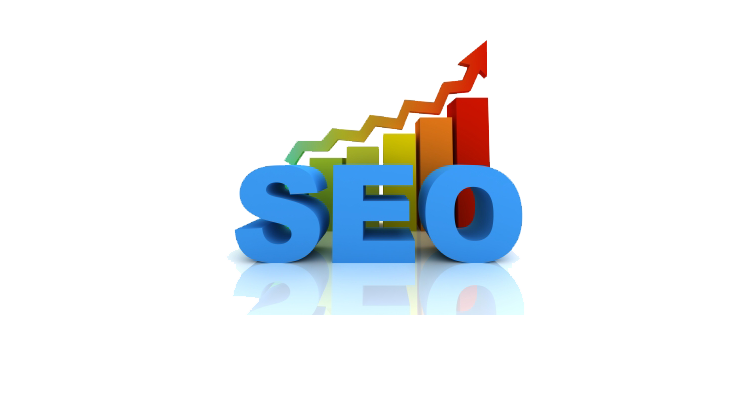 It optimizes your websites potential to get shown in the organic search engine listings. With good SEO, if your business sells lawn mowers in Liverpool for example, when people type in the search bar, ‘lawn mowers for sale in Liverpool’, your business is listed. Your business may sell multiple products or services, so the key is for these products or services to be found by potential customers that are looking for them online. Moreover and better still, the objective of effective SEO is for these products or services to be found on the first page (or at least second or third) of a search engines list. Paid listings, through, for example, Google add words; can be found at the top of the page whereby organic or natural listings are found just beneath them. The nearer you get found to the paid listings the better. For your website to be found on the first page of a search engine listing without paying for it is of great benefit. The more search terms that are relevant for your product or service that get found, the better. There are different types of SEO that are applicable, depending on your business. You may be a UK based business that only looks for business in your particular city or region. In that case, you need to be found in that specific area (be it London/City or Merseyside/region etc). So the search terms applicable to you would be related to customers searching for a particular product or service in a given area. Likewise, you may have a company that looks for business UK wide or across the globe. In that case, the key words and phrases’ from potential customers looking for your product or service would change, as would our SEO strategy. Whether you are a business that requires local, national or international business, a good SEO plan is of equal importance. The aim is for your website and therefore your product or service to be discovered by people searching for them. The potential of your company to gain new custom through a search engine optimized website increases exponentially. On the other hand, little or no SEO makes your website effectively useless. That being the case, SEO is an essential requirement for any business that both has a website, and wishes to gain new customers from it. Web Project Studios strategy begins with a consultation by telephone or if preferred, an email questionnaire. The consultation is designed to establish the products or services your business is trying to sell. On top of that, we establish the customer demographics looking at who your present and potential customers actually are. The next stage involves utilising the best available key word analysis programmes to evaluate the keywords and phrases most relevant for your businesses. What are the most common search words that people type in the search bar when searching for your products or services? We will find out! Any good SEO strategy involves competitor analysis. What are your rivals saying and what are the market leaders saying? This is important, as it can give crucial pointers, without breaching copy-write, of the competitions approach to selling their products or services. Building effective links is another factor that can heighten your websites PR ratings and search engine rankings. Onsite optimization involves structuring your website in the best possible way, in terms of SEO for your needs. Image placement, title tags, key word placement other strategies enable your website to be immediately optimized. Content management is an increasingly important aspect to any effective Search Engine Optimization (SEO) strategy. Google increasingly recognises and rewards websites that renew their content regularly. Essentially, content management is what the name suggests. It is managing the wording and articles (and so on) to ensure old content is removed and new content is embodied. A good way to do this is through a regularly updated blog. The writing out and inputting of new content can be a tedious and time consuming endeavour. Here lies the advantage. Many business websites do not have the time or inclination to update their websites with fresh content. As a result, websites that do regularly update their content can find themselves ranked above the websites that don’t in search engines such as Google. As with content management, social media is an increasingly critical element of SEO. Again, this can be a time consuming process unless your company can afford a dedicated member of staff to continually update your face-book, Google plus pages, twitter and so on with new postings. Furthermore, key words and search phrases already established by Web Project Studios that are relevant to your business, can be embodied in the social media postings Social media can attract a lot of new business! Finally, Web Project Studios not only aims to get you in the first pages of Google etc for your products or services, but via an ongoing strategy, keep you there. Your SEO is for us an ongoing project, not, as it is for many of our competitors, a quick fix solution that works for a short while only. In sum, if you are interested in getting your website discovered and keep getting discovered by new customers in the search engines, Web Project Studios SEO service is for you! Being found on an international level is no easy task, yet with our help this becomes more achieveable. Want to find out more about International SEO? We offer a free consultative service to get you started on your SEO journey. Why not get in touch with us now to book one session?